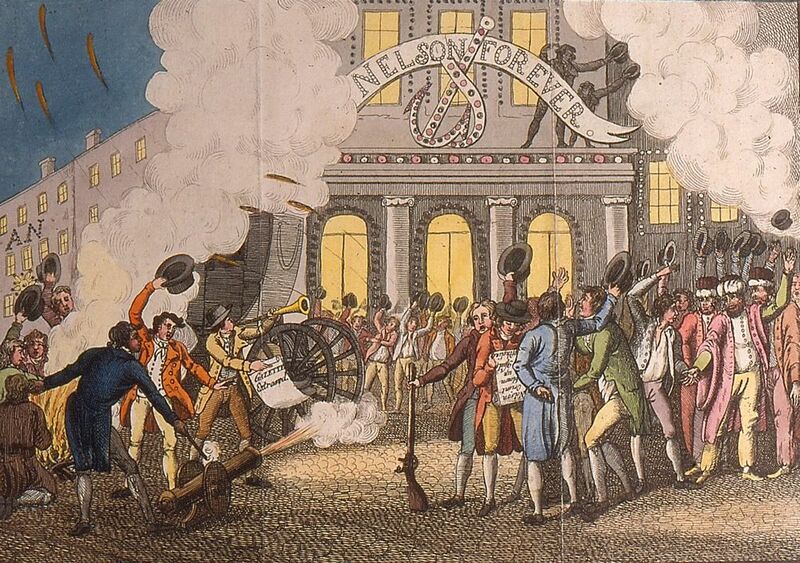 Colour engraving of a scene at the back of Covent Garden, Bow Street, London, showing people cheering as they celebrate Nelson's victory at the Battle of the Nile, 1st August, 1798. This Nelson Forever Art Print is created using state of the art, industry leading Digital printers. The result - a stunning reproduction at an affordable price.